Mother’s Day was Sunday, May 8th 2011 in Japan. This is a beautiful Mother’s Day Cake from HENRI CHARPENTIER. I introduced almost the same cake the year before last. 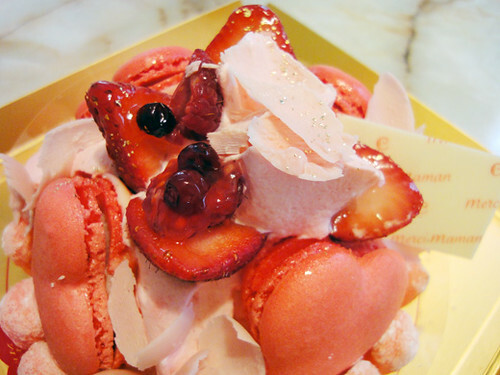 They changed the heart-shaped macarons which looks so lovely. The coconut dough with vanilla mousse and strawberry compote is just great. 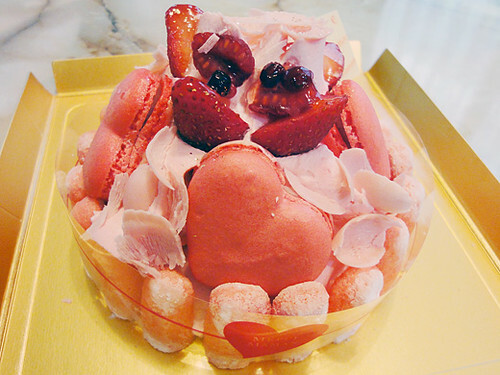 The cake is decorated with bright pink colored strawberry macarons,framboises, strawberries and whipped cream. 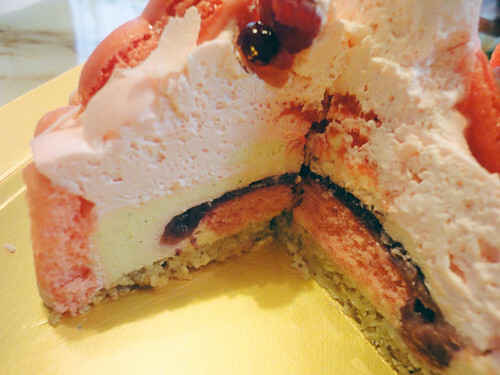 I love this scrumptious-looking cake sooo much!! This looks so elegant and delicious. I would be afraid to cut into it because it’s so pretty!